These candles are also available only in white. Each box contains 10 pieces. The height of each candle is 26 cm. These premium quality candles boast of minimum odour and dripping and burn for a much longer time. Sahayamatha Candles Works offers a large variety of Church Candles used mainly in church for the religious purposes. The Church Candles made by Sahayamatha Candles create an illuminating atmosphere all around. Sahayamatha Candles Works Manufacture and Supply the candles providing the best possible output of their products. The votive candles from AromaShop.in offer you a variety of choices to add a little candlelight to your home or for your special event. They manufacture scented, unscented, and soy votive candles in glass votive cups. 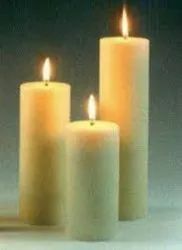 These are simple plain candles made with mould in two different sizes (1 feet and 1 ½ feet) to use for churches or such occasions. Price of the candle is fixed purely on weight of wax. The mix of wax in this candle is specially made to get more white colour to the candle and also burning duration is more than normal candles available in the market. 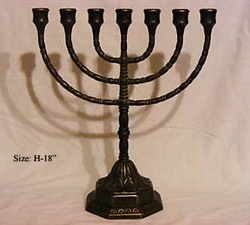 Available wide range of Household candles in different sizes and color. Send your requirements for bulk order and will share the quotation. As per the needs and requirements of our clients, we are involved in providing church-pillar-candle.